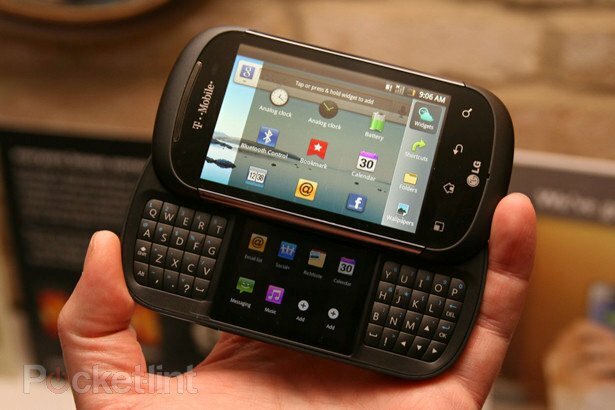 Ever want a split-keyboard, dual screen slider phone that runs Android? You're in luck, because it looks like LG is making one and it is headed to T-Mobile. There's not a lot known just yet, other than it's thick, and two of the eight "shortcut" icons in the secondary display are user programmable. The fact that Kineto, the people behind wifi calling for Android, were showing it off makes us think that feature will be included as well. I'll be honest -- I'm kind of digging it. I like physical keyboards, and something tells me I could adapt to the split model pretty easily. I'm sure more info will start to trickle out about this one, but in the meantime be sure to visit the source link and check out the pictures.